Richard Irwin (Belper, United Kingdom) on 19 April 2008 in Plant & Nature. 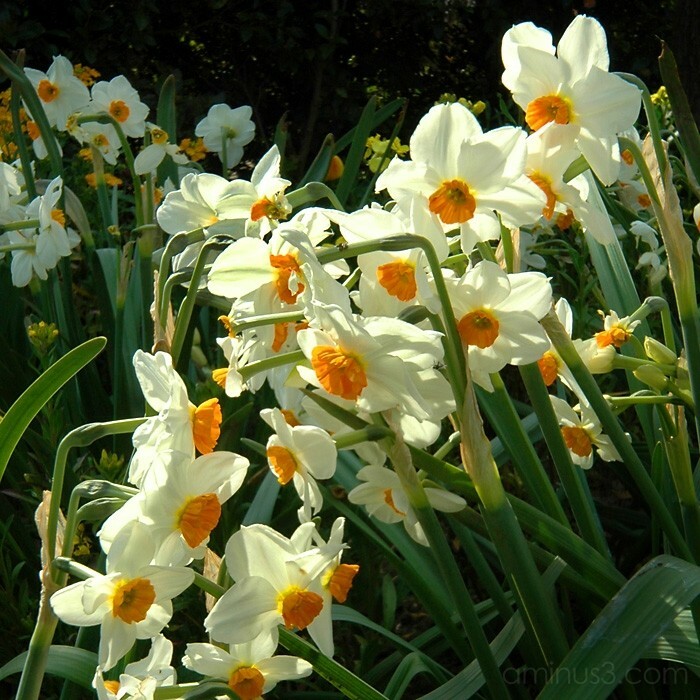 Miniature Daffodils in a thronging crowd. Nice one! Looks like they are all getting ready to go in their own direction! Beautiful indication of Spring!! My kinda crow ;) superb! Wonderful composition, Richard. Nicely done. Lovely composition with interesting effects from different "leanings." Also like the different light effects. It does look like they are having a conversation!! Wonderful colors and lighting. Daffodils always look happy to out there like this in the sunshine . . a reminder of what a beautiful time of year this is. So lovely! The light is gorgeous. And I keep telling myself... soon, soon.